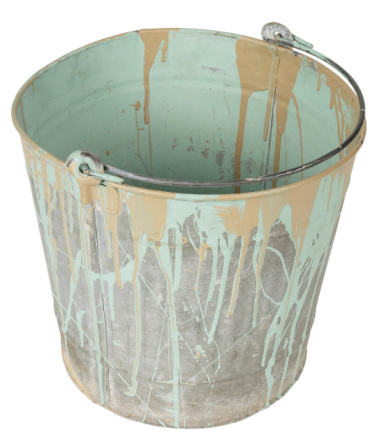 Dried paint on a plastic bucket gives the appearance of an old, dirty pail. Starting a project with clean working tools will give you a good attitude. Use some common and inexpensive items in your home to give your plastic bucket a more presentable look. It's an easy, quick project. 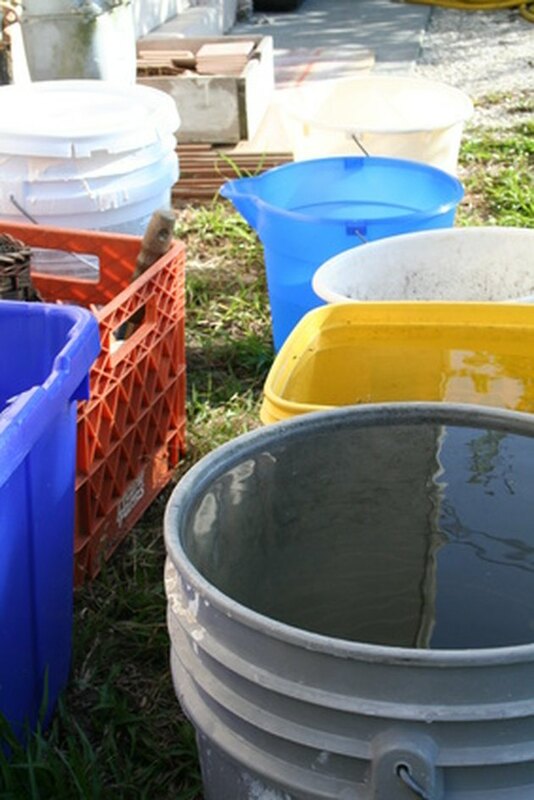 Plastic buckets are a handy household item as long as they're clean. Pour unused paint into the original paint container. Wipe the inside and outside of the bucket with a paper towel and place the paper towel inside a plastic bag before disposing. Wash the bucket with soap and water. Remove latex paint with rubbing alcohol. Saturate the paint and cover it with plastic to prevent evaporation. Remove the plastic and wipe the paint from the bucket, using a cleaning cloth. Wash the bucket with soap and water. Apply small amounts of kerosene, alcohol, acetone, turpentine, or lighter fluid to remove oil paint. Use a clean cloth to apply the remover to the paint. Test a small area to ensure you won't damage the plastic. Wash the bucket with soap and water after the paint is removed. Remove enamel paint with a paint stripper, lacquer thinner or acetone. Apply the cleaner with a cleaning cloth and wipe away the paint. Finish cleaning the bucket with soap and water.